DAVAO CITY (Mindanao Examiner / Oct. 5, 2011) – Two soldiers who are being held by communist rebels in the southern Philippines have apologized for their roles in the government’s anti-insurgency campaign and are quitting from the military service. The New People’s Army released Wednesday an audio recording of Corporal Alrey Desamparado and Private First Class Allan Saban. The two were bodyguards of Lingig town Mayor Henry Dano who were all seized August 6 in a daring raid by rebels in Surigao province. Dano has earlier apologized to the New People’s Army for his role in the military’s campaign against communist rebels in the town. “The two, detained along with Mayor Dano by the New People’s Army-Southern Mindanao, issued an apology directed to the masses, revolutionary movement, and the NPA in relation to their counter-revolutionary intelligence operations. The two also pledged to quit from AFP military service and return to civilian life should they be released from NPA custody,” Rubi del Mundo, a rebel spokesperson, told the Mindanao Examiner. Both soldiers also admitted to being military intelligence agents and were gathering information about the NPA, and at the same time guarding the mayor against rebel attacks. “I was assigned to the mayor to extract additional information or to spy on the revolutionary movement, to recruit civilian assets. We were given lists of members of Guerilla Front 20, to neutralize the insurgency, the campaign of the Armed Forces of the Philippines. I admit to the misdeeds like spying against the New People’s Army, and I ask for the forgiveness of the masses, in my offenses involving the recruitment of civilian assets, as I pursued my task being a VIP security to the Mayor,” Desamparado said. “I apologize to the masses, to the New People’s Army, to the revolutionary government, for my offenses. I promise that I will never join in any campaign of the AFP, like the counter-insurgency campaign against the New People’s Army. I also promise to resign from service should I be given the chance to be released from custody,” he added. “I promise not to join in any intelligence activities against the revolutionary movement under the AFP, PNP and other agencies of the armed forces of the Government of the Philippines. I also vow to quit being a soldier. I will not join in whatever activities of the AFP. I ask for your forgiveness so that we will soon be released. We wish to see our family, especially my children, my wife, my mother, my siblings,” he said. Aside from Dano and the two soldiers, the NPA is also holding four jail officers - Police Inspectors Murphy Todyog and Eric Llamasares, Special Jail Officer 2 Rogelio Begontes and Jail Officer 1 Rolando Bajuyo Jr. - who were captured July 21 after a daring rescue of a jailed rebel leader Dennis Rodenas in Bukidnon province. The rebels said they are ready to free their prisoners for humanitarian reasons, but ongoing military rescue operations were stalling the safe release of the captives. The NPA earlier accused the mayor’s private army as responsible in the brutal murder of a tribal leader –Eduardo Toyogon - in Lingig town. Toyogon, who opposed mining operation in tribal areas in the town, was murdered in October 2010. “I apologize to the revolutionary movement, in particular to the masses and to the New People's Army for my acts constituting violations to human rights and to international humanitarian law,” Dano said in an audio clip released by rebels on September 26. It was not immediately known whether all the statements were prepared by the rebels or not. Just recently, some 200 rebels raided three mining firms Tag-anito High-Pressure Acid Leaching, Tag-anito Mining Corporation, and the Platinum Gold Metal Corporation in the town of Claver in Surigao del Norte province in Mindanao. The rebels warned of more attacks against mining firms which continue to destroy the environment and oppress civilians. Ka Maria Malaya, a rebel spokesperson, the raids were in retaliation for the human rights abuses committed by the mining firms against local tribesmen, peasants and workers; and destruction of the environment. 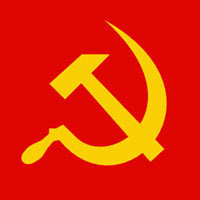 The Communist Party of the Philippines praised the rebels for the daring raids.